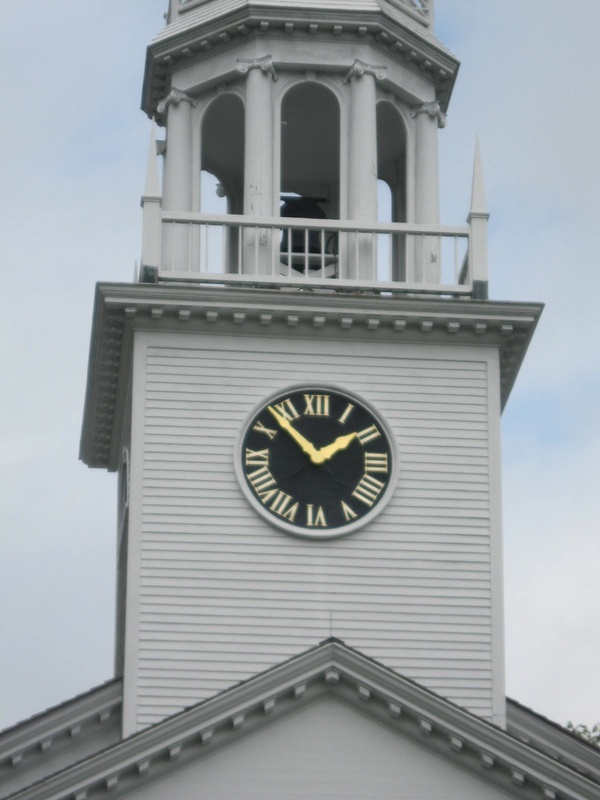 While driving along West Street in Litchfield one may catch a glimpse of the time from the clock of the Congregational Church, or in the tower of the Litchfield County Court House. Subconsciously, the driver is forced to think back to his or her student days to convert the Roman numerals on the face of the clock to Arabic numerals. This is all done very quickly, and without much thought. They are not alone. 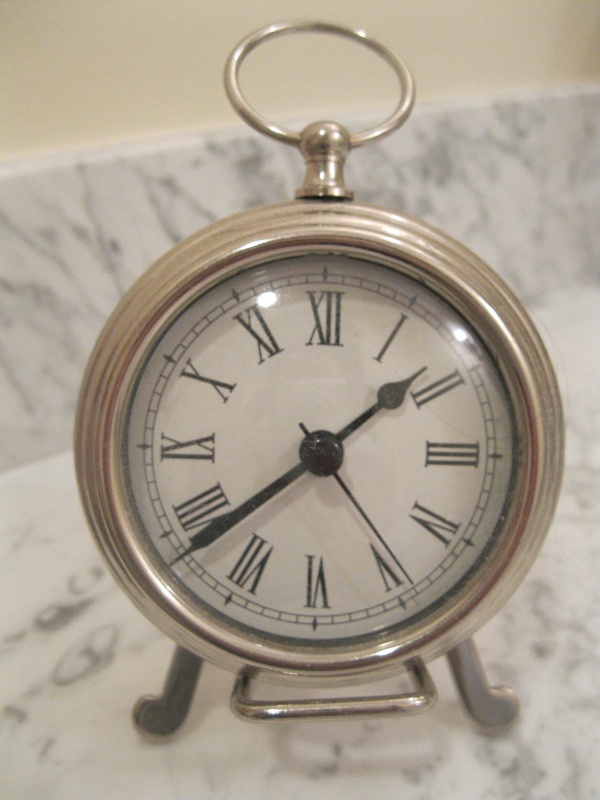 It is customary for clockmakers to substitute “IIII” for “IV” on their works. 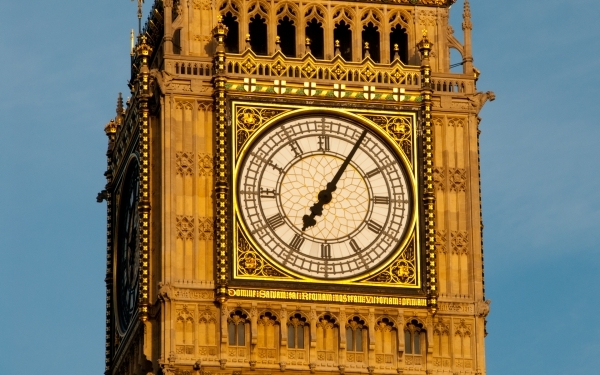 There are notable exceptions – Big Ben, the famed London clock whose tower was renamed for Elizabeth II this year in honor of her diamond jubilee, sports the numeral “IV.” As with so many traditions, there are conjectures as to their origin, but no definitive explanations. 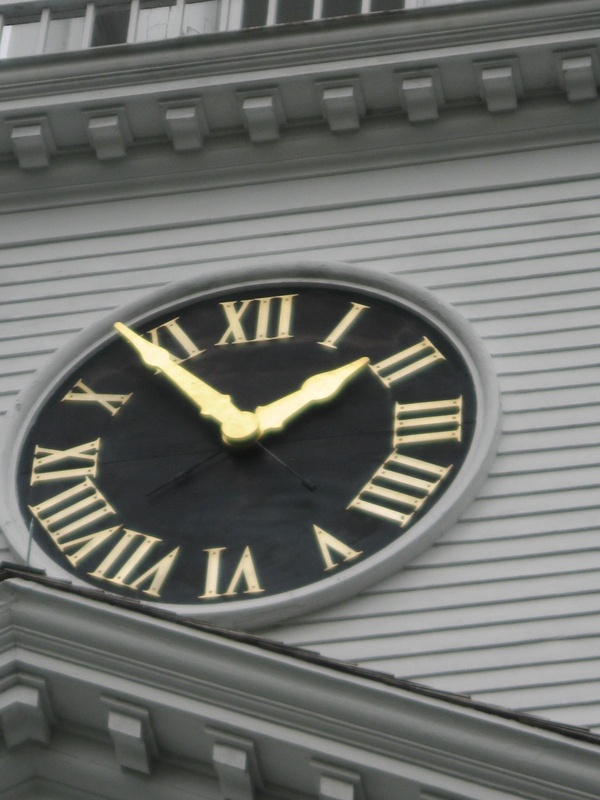 Some speculate that the use of “IIII” provides symmetry to the clock face. One through four o’clock, only make use of the numeral “I” while the next four hours utilize “V” and “I” and the final four use “X” and “I”. Does this clock face demonstrate a lack of balance or symmetry? Others say that the explanation is that the numeral “IIII” provides a better balance to its counterpart “VIII” than “IV” would. Don’t tell Big Ben. Still others hold that the tradition dates back to the Romans, who never used “IV” on their clocks because the letters “IV” were the first two letters of their spelling of the god Jupiter (IVPITER), and they didn’t wish to tempt fate. This explanation would make for a good story if the Romans actually used clocks. Does the numeral “IV” appear on sundials? Those pessimistic about the nature of mankind argue that it is easier to count by adding I’s than it is to subtract I from V, an argument that does not take into account that 9 is “IX” and not VIIII. As this blog celebrates history, let’s accept that the tradition follows the lead of the oldest extant public clock, the Wells Cathedral Clock. This clock, found in the west of England, proudly displays four o’clock as “IIII”, and has since its installation, which was – at the latest – in 1392. 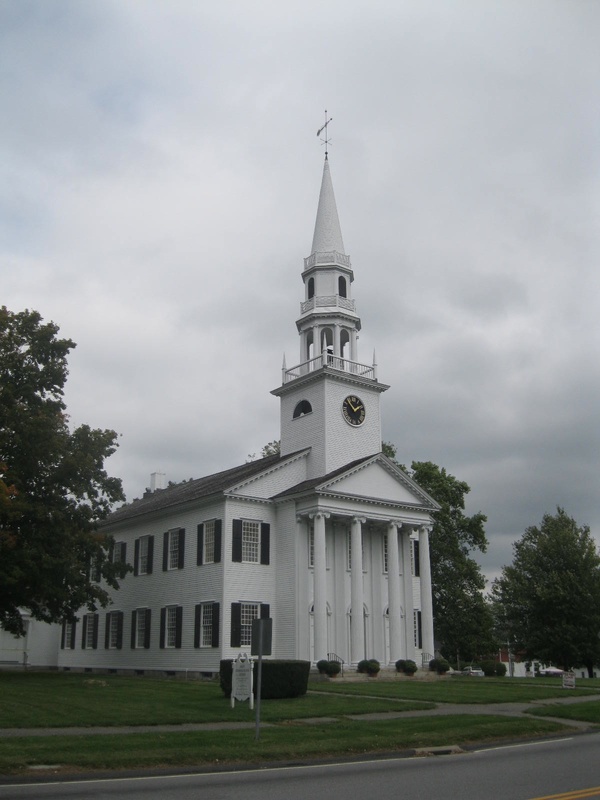 The present Litchfield Congregational Church was built in 1829; however, when a new church was built in 1873, the structure was used for a variety of purposes, including as a movie theater and roller skating rink. It was restored to its original use in 1930, as part of the town’s Colonial Revival makeover. The clock would have served important purposes, not only calling residents to worship, but also pealing to announce important news or of fire. 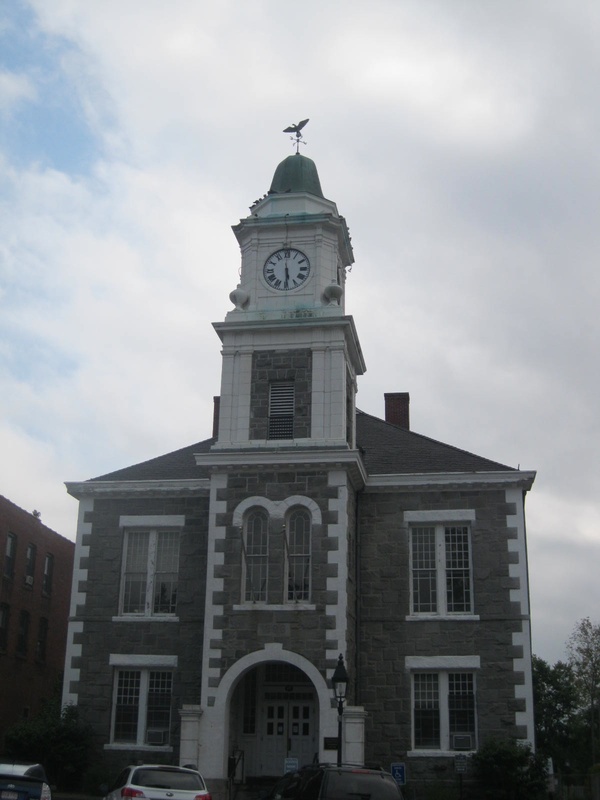 The Litchfield County Court House boasts a Seth Thomas clock tower. This was installed in 1890 as part of the rebuilding of the court house following an 1886 fire. 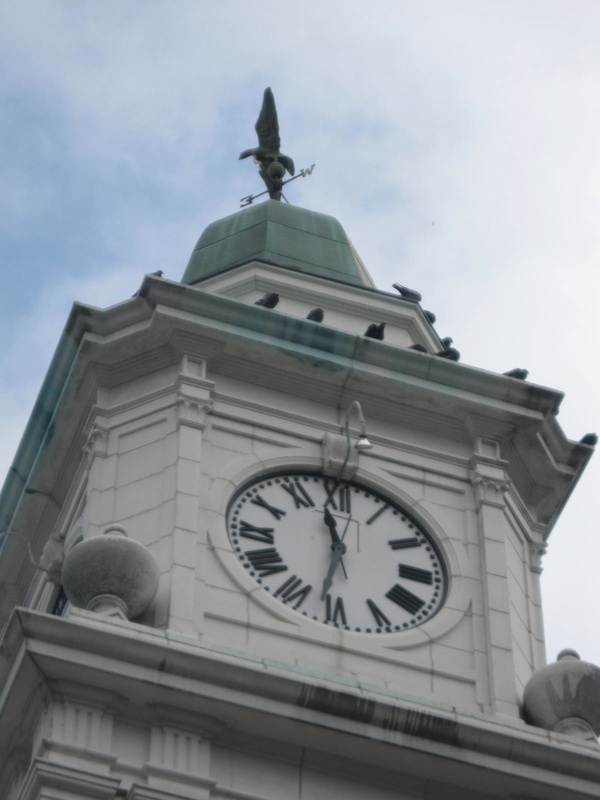 When the court house was remodeled in 1913-14 – again, to make the structure fit with its Colonial Revival surroundings – the clock tower was retained. These two clocks don’t display the exact same time, and as such are vestiges of a bygone era, when passersby didn’t need a digital device connected to satellites to provide them with the precise time. 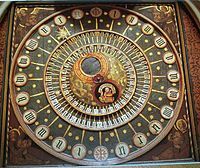 Most still relied upon sundials and hour glasses to tell time; perhaps in a rapidly changing world, the numeral “IIII” grounded them in ancient traditions. 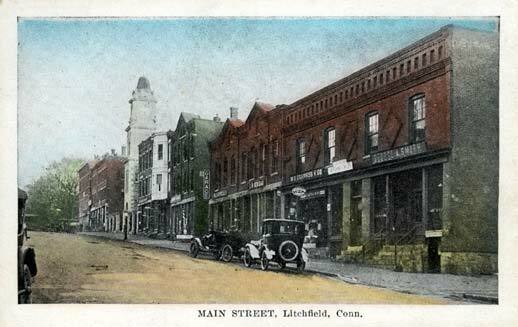 This entry was posted in Architecture, Art and tagged clocks, Litchfield, Seth Thomas by pvermily. Bookmark the permalink.